Philanthropists Penny W. Stamps (BSDes ’66, TeachCert ’66) and E. Roe Stamps established the Stamps Scholarship at the University of Michigan in 2006 through their Stamps Family Charitable Foundation. Beginning with the entering class of 2016-2017 and for future classes, annual funding, renewable for four consecutive years of undergraduate study, will total the full cost of attendance. 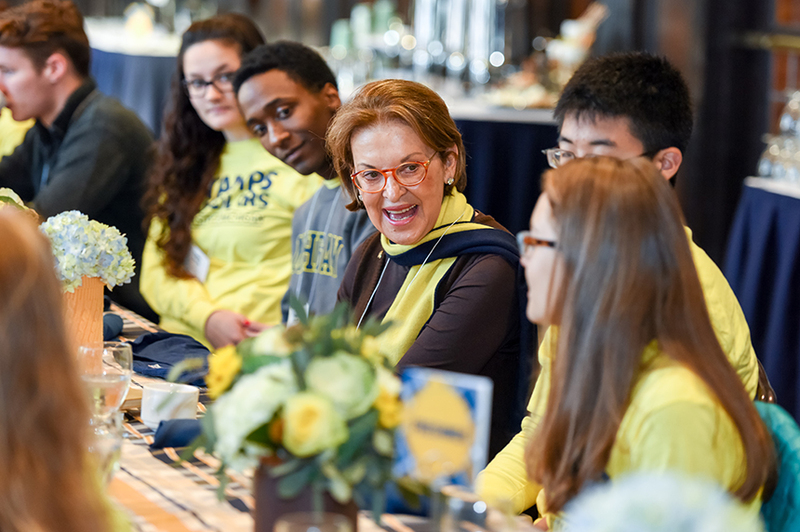 This award, the most generous merit based scholarship at U-M, provides scholarships to the brightest and most outstanding undergraduate students. The Stamps Family Charitable Foundation provides scholarship funds for half of the award. Matching funds from U-M constitute the other half of the award. 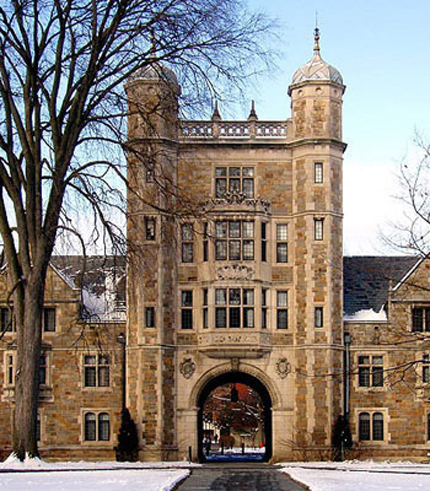 U-M selects Stamps Scholars from students admitted through the Early Action (EA) process. EA applicants need to get their application submitted by November 1. UM schools and colleges which admit freshmen review EA admits and nominate their top prospects. The Office of Enrollment Management, in consultation with each school and college, considers the nominees and selects student recipients. The selection process considers academic achievement which is determined on the basis of high school grade point average, SAT/ACT test scores and the rigor of coursework. Exceptional talent in the arts and sciences is also considered, along with other attributes such as innovation; evidence of leadership, awards, and service; and a stellar commitment to the student’s communities. Membership in the U-M Stamps Scholar Society student organization. Potential enrichment funding of up to $10,000 to support study abroad, community service, and research and internships. Membership in the National Stamps Scholars organization with opportunities to network with Stamps Scholars at more than 40 colleges and universities. 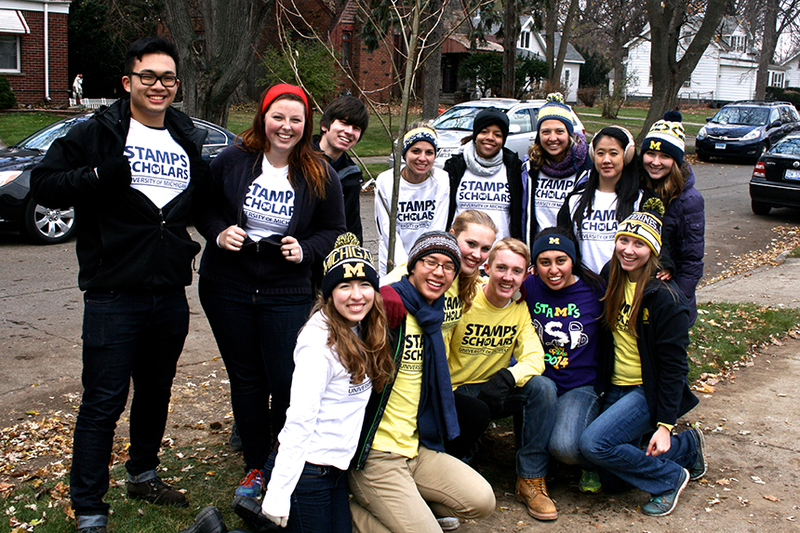 It is required that high school seniors selected for the Stamps Scholarship will attend the Stamps Scholars Recruitment Weekend held in the spring in Ann Arbor. If a student is unable to attend the weekend, he/she will not be considered for the University of Michigan Stamps Scholarship. Approximately 18 Stamps Scholarships are awarded annually. In addition to their support of the Stamps Scholarship, Penny and E. Roe Stamps are the most generous donors ever to the U-M Penny W. Stamps School of Art & Design, named for her in September 2012. The couple’s support of the school has established merit scholarships and launched such initiatives as the Penny W. Stamps Distinguished Speaker Series, bringing creative thinkers to campus and the community from around the world. If you have any questions about the Stamps Scholarship program, please contact Darwin Matthews (734) 615-4768 or darwin@umich.edu in the Office of University Development. For questions about your scholarship or financial aid, contact Sondra Fonville in the Office of Financial Aid.